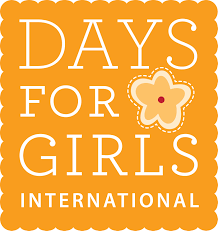 Days for Girls enables girls to go to school & women to go to work in over 100 countries through providing them with sustainable menstrual hygiene solutions & health education. Since 2008, DfG has reached 300,000 women & girls, earning back collectively 54 million days of opportunity that would otherwise be lost without access to hygiene supplies. DfG gets hygiene Kits into the world through a hybrid approach of volunteerism & social enterprise. This community-driven model provides income-generation opportunities, health education, & hygiene solutions that are sustainable both in terms of their cost & their environmental impact. Through DfG programs, women & girls discover their potential, are equal participants & agents of social change, & are given opportunities to thrive, while ensuring access to quality sustainable feminine hygiene for other women & girls in their communities. A 2010 study by Plan Philippines, UNICEF & Save the Children found that girls in the Philippines routinely lacked appropriate facilities & materials to manage their menstruation in school settings, & many were uninformed about basic hygiene & knowledge around their menstrual cycle. When girls are empowered with the knowledge to understand & take care of their own bodies, they will be better able to meet their own needs & to make critical decisions regarding their own health. 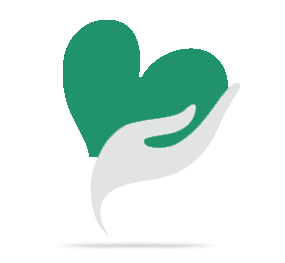 Our comprehensive health education program covers topics including hygiene, anatomy, menstruation, and self-defense. These lessons, in conjunction with our washable menstrual hygiene Kit put the power in the hands of a girl to meet her menstrual hygiene needs. Through our Micro-Enterprise Programming, we create long-term impact by empowering local leaders to lead & develop community programs. The Days for Girls Micro-Enterprise Model creates long-term impact for both women & girls in three ways. By creating & selling the DfG Kits locally, the Micro-Enterprises are able to spread educational awareness & access to the menstrual hygiene Kits, providing women & girls with ongoing access to menstrual hygiene solutions. Second, the Micro-Enterprises create income generation opportunities for local women, creating solutions to poverty in the communities that they work in. And finally, the Micro-Enterprise Model allows long-term viability of the hygiene Kits, by ensuring that costs are covered and eco-friendly solutions to menstruation are available in the long-term. Your share could be as good as a donation for Days for Girls! Not everyone can afford to take care of their loved ones. Days for Girls's life can only be saved by donations made by kind people like you.